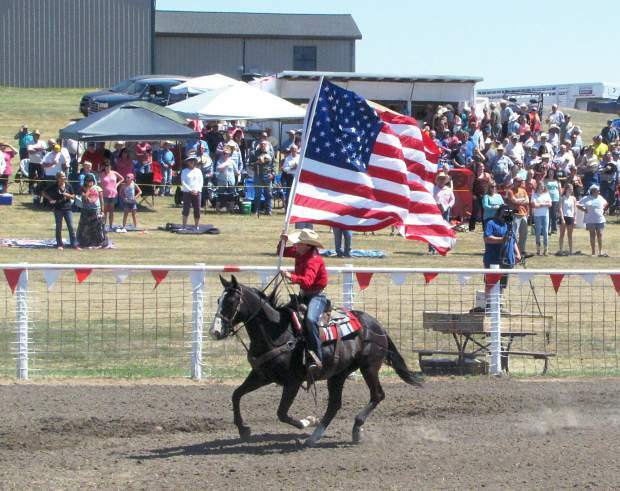 "Home, home on the Range…where seldom is heard a discouraging word, and the skies are not cloudy all day…"
The Champions Ride Rodeo, hosted by Home on the Range youth ranch, was the first bronc match in history to be sanctioned by the Professional Rodeo Cowboy's Association (PRCA). The 59th annual event, held in Sentinal Butte, North Dakota, offered $31,200 in cash with those earnings going toward the PRCA standings that determine the Wrangler National Finals Rodeo qualifiers. With all but one of the world's top twenty bronc riders entered, the Aug. 1 bronc match at the Home on the Range youth ranch offered a reason for the performers and spectators alike to cheer. While professional saddle bronc riders – and traveling partners – Wade Sundell and Cort Scheer officially tied for the championship title, the Oklahoma cowboy took home a commemorative rifle after winning a ride-off by just two points. 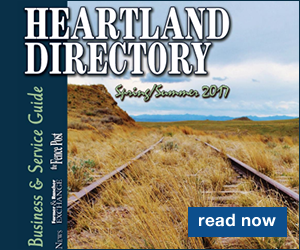 Home on the Range – where the vault of North Dakota sky beneath that blazing August sun was a searing brilliance of blue and emerald slopes serrated by colorful rows of blossoming umbrellas proved some, at least, wished for the clouds. While discouraging words weren't heard, there was plenty of nervous excitement to go around. Four-legged athletes including NFR veterans from the strings of J Bar J, Burch Rodeo Company, Outlaw Buckers, Sutton Rodeo Company and Cullin Pickett awaited their turn to be directed by skilled pickup men Blankenship and Marshall during the the performance. Two-legged athletes, including 19 former NFR contestants awaited their turn to make music in the arena. Broncs were drawn Friday for the long go-round. As the dust of their first Saturday dance settled, the 10 highest-scoring riders drew their final broncs and competed in the coveted Jim & Tom Tescher Championship Round. Pro judges Tom Miller and Harry Rose and timer Mark McKinley had to peel eyes and sharpen pencils to differentiate between so many magnificent rides. Round 1 produced ten scores in the 80s – filling every slot in the Championship round! Nebraska hand Cort Scheer's 86 on Sutton Rodeo's Prom Night led the pack. Close behind was Bradley Harter's 84 points, earned on Burch's Barefoot Blue Jean, and third-high opening-round mark was the 83 posted by Tyrel Larson dancing with the Canadian bronc Quittin' Time from Outlaw Buckers. 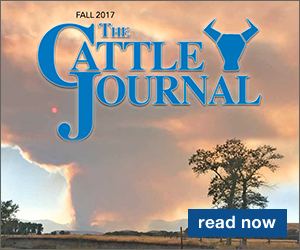 Twin 82-point scores were marked for Taos Muncey on J–J's Bugs Bunny and Jacobs Crawley on Angel Sings from the Burch herd. Then a four-way 81-point tie was scored by CoBurn Bradshaw on Outlaw Bucker's City Fire; Sterling Crawley on Gringo Honeymoon from J-J; Wade Sundell on Sutton's Native Fringe; and Rusty Wright who rode J-J's Smart Guy. Allen Boore spurred 80 points out of PK's Real McCoy to load the chutes. The annual Top Bronc award went to J-J's Money Maker, who'd managed to unseat Cole Elshere at the last moment. Undoubtedly Jim Zinser, whose bronc program formed the foundation of J-J a few years ago when they sold out to Sparky Dreesen, was glad he'd flown in from Michigan to watch that bronc and all the others perform. As action exploded once more, the Jim and Tom Tescher Championship Round was led by Wade Sundell's 90-point bonanza atop Birch's Lunatic from Hell. CoBurn Bradshaw on Sweatin' Bullets a J-J horse, tromped on Wade's heels with 88 points. Cort Scheer picked up a nice 85 off another J-J, Willie Jump or Not…and yes Virginia, he jumped! Sutton Rodeo's South Point carried Allen Boore to a solid 84; which was followed by Taos Muncey on Sutton's Chuckulator and Jacobs Crawley on J-J's Bullet Proof, each picking up 83 points. Rusty Wright barely clung on for the whistle and a score of 81 atop Burch's Iron Maiden and Tyrell Larson on Julia, another J-J horse, scratched out 81 points. Crowd roar resounded through the swale as loudspeakers informed fans that Wade Sundell and Cort Scheer shared an aggregate point total of 161 – a ride-off was pending! The money and PRCA standings recognized the split; but for the Champions Ride Commemorative Rifle and other awards the field needed to be narrowed to one. 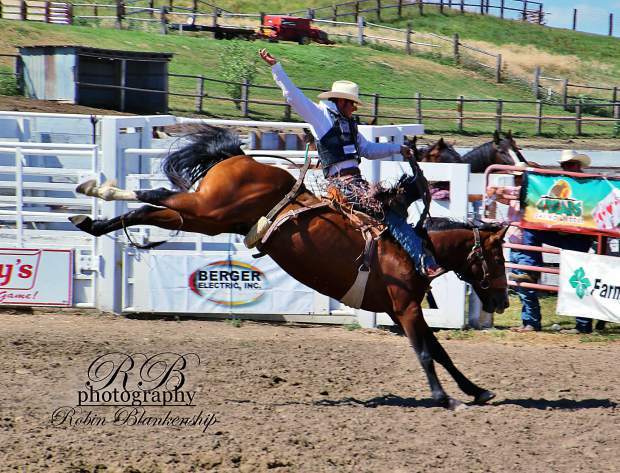 First-timer Cort Sheer said, "The world's greatest broncs and riders were here." The best part of the whole match, according to Cort was, "Just splittin' it with my travel partner!" Sundell said, "I went there four years ago, and coming back to draw Lunatic From Hell was about perfect." Sundelly didn't mention that he won the event in 2010. 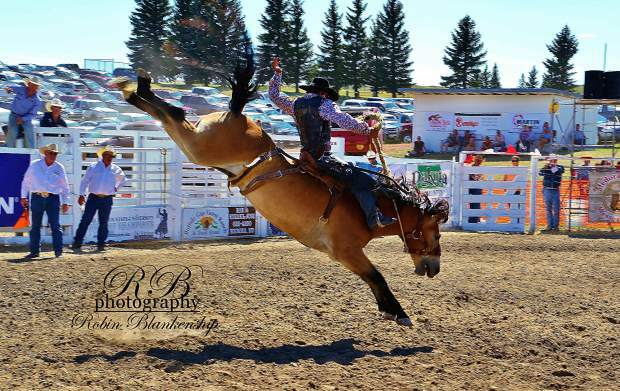 But of course no bronc rider will pass up one more good ride, so they went at it again. Deafening cheers rocked the ranch as Cort drew J-H's Pink Painted Lizard and earned an impressive 81. Wade then rode J-J's Tipped Off for 83 to take home the rifle. The ground-breaking, history-making element of this first PRCA Sanctioned Bronc Match was not lost on the co-champions. "Boy, it kind of takes a load off and breaks the tension this time of year to get a boost like that toward the finals," Cort grinned. "I have been trying to figure out how we could keep entering, and make the finals. You're always going to go to events like this anyway," Wade said, "But having that big payoff count for us was awesome. I'd kind of fallen behind, but that sure helped. My finals dreams are looking a lot brighter." Sundell, originally from Boxholm, Iowa, also won the Deadwood Days of '76 bronc riding this summer and this week moved from ninth to sixth place in the Windham Weaponry High Performance PRCA standings. Sundell left North Dakota with $6,086 in earnings. Scheer, from Elsmere, Nebraska, won the NILE rodeo this year, among others. When the calculators were put away, Scheer wound up the big winner money-wise, taking home $7,582, helping him move from seventh to fifth place in the standings. To facilitate the participation of that many busy pro-bronc riders on a weekend laden with maybe a dozen profitable options, the Champions Ride Committee offered personalized flights into their remote but colorful Badlands region – and back to the cowboy's next venue. The committee is comprised of Joe and Robin Blankenship, Casey and Kami Fredericks, Brad Gjermundson, Matt Ross, Greg LaBelle, Kevin E. Holten, Gary Tescher, Ted Tescher, Dusty Hausauer and Rick Thompson. 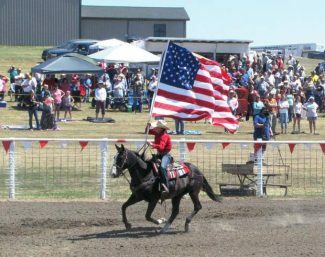 Wisdom, warmth, enthusiasm and energy emanate from that pool, much of it anchored to North Dakota through deep rodeo and bronc riding roots. Gary Tescher of Sidney, Montana is the son of Jim Tescher, who was ranked in the top five bronc riders and all around cowboys several times in the 1950s and 60s. "When I was asked to serve on the committee I felt it was a deep obligation because of our family tradition and history," Gary says. He rode broncs in the 1970s, still ropes in competition, and has been very active in the quest for PRCA sanctioning for Champions Ride and similar events. "There were many obstacles to overcome," he admits, but laughs, "I couldn't sleep for two nights after I heard we were sanctioned!" His cousin Ted Tescher lives at Medora, North Dakota, and shares the familial enthusiasm for all things rodeo. Ted's dad Tom was another bronc riding Tescher who rose to pro-rodeo's top five rankings during the 1950s. Born and bred to deep reverence for great bronc riders and horses that buck, Ted can't say enough about their Champions Ride committee. "Awesome – couldn't get better," he enthuses. "Everyone works hard and each takes a responsibility suited to their talents. There's no competition, no ego struggles, we just want to put on the best event possible," Ted explains. "We've been pursuing the PRCA sanction for a couple of years, and it can't do anything but help us." Casey Fredericks hails from the Killdeer/Halliday country and is extremely proud of their committee. 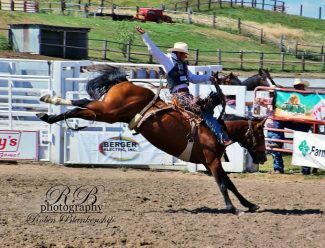 Son of successful bronc rider Buzz Fredericks, Casey competed five times in Champions Ride and has also judged the event several times. "Our facilities have improved a lot, and moving the event to Saturday instead of Sunday brought a lot more people in," he said. Champions Ride veteran Brad Gjermundson carved his own North Dakota niche of bronc riding fame with four world champion titles in the 1980s, and he said the most important thing about this event is the financial support it provides to Home on the Range and the many underprivileged kids who have been and continue to be helped into a better life. "It keeps us involved, too. People discover Home on the Range by coming here for Champions Ride," Gjermundson explained. "One of our best improvements is in the stock – we have more contractors with fewer horses. It evens up the draw so every man who nods his head has a chance to win." The entire committee appreciates sponsors, both old and new, as well as the crowd that comes to watch Champions Ride. Rick Thompson said, "They don't just help out today. After they discover what Home on the Range does they want to contribute, leave memorials and tell others. It's important that people understand they can visit here any time, take a tour, and make a difference." During intermission a familiar tradition of horsemen memorialized one of North Dakota's finest cowboy sons, Alvin Nelson. Son Louis Nelson rode and led a black riderless horse that carried Alvin's empty World Championship saddle. Followed by Alvin's teenage grandson Garett horseback, they circled the arena as announcer Brett Gordon read a narrative prepared by Kevin Holten of the North Dakota Cowboy Association. A tribute video on the big screen and a full standing ovation from the crowd of thousands, many of whom had tears streaming down their cheeks, completed the ritual. World Champion bronc rider of 1957 and a perennial at the National Finals, the personable Hall of Famer ranched with his wife Kaye, former Miss Rodeo North Dakota, on the Little Missouri near Grassy Butte until his passing last December. Kaye said, "Alvin loved the match and it was a perfect setting for this unforgettable memorial. The announcer's words 'Alvin Nelson enters the arena one last time as we honor him here today' is the saddest and most memorable introduction I have ever heard," she said. Asked how many years he plans to keep riding broncs Sundell shrugged, "Aw, I suppose when I don't want to get up and go to a rodeo anymore I'll prob'ly hang it up." Nobody's holding their breath. The sun declined toward the west and the air was slightly cooler as thousands of vehicles trailed out of Home on the Range. Such a day in such a clean, quiet, close-to-God atmosphere had touched and blessed that crowd, and it seemed the wind whispered "Where the air is so pure, the zephyrs so free, And the breezes so balmy and light…Then I would not exchange my home on the range, For all of your cities so bright."